Creating delicious dishes with fresh ingredients and a good helping of faith! There is just nothing better than sipping on a steaming cup of bone broth during the bone chilling winter! Happy Monday Guys!!! You may not want to hear this but now that summer is over, winter is right around the corner. When it starts to get cold outside it seems like we all start to bring the chill inside and may not feel like our 100% selves. Nothing warms our bones and treats cold symptoms like a hot steaming cup of bone broth. 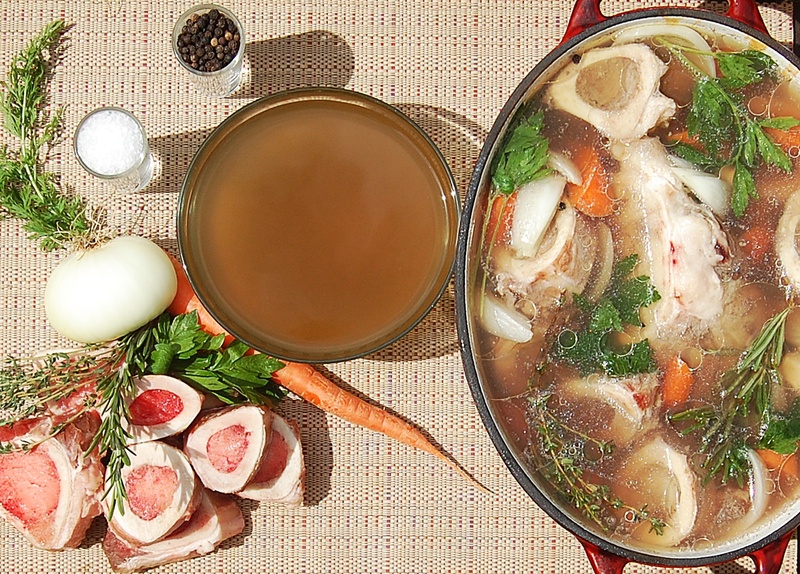 Bone broth is so much richer and more satisfying than store bought stock. It has so many more nutrients to help keep the body going. 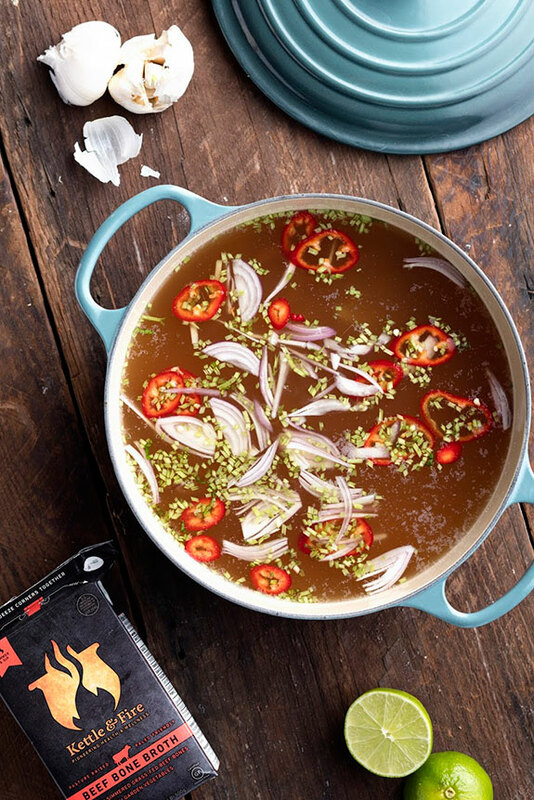 The long simmer time not only adds a ton of flavor, but provides an abundance of amino acids that improve your digestive health. So, to keep my hubby and I happy and healthy through the cold winter, I whip up a big batch of beef bone broth for us all to sip on. 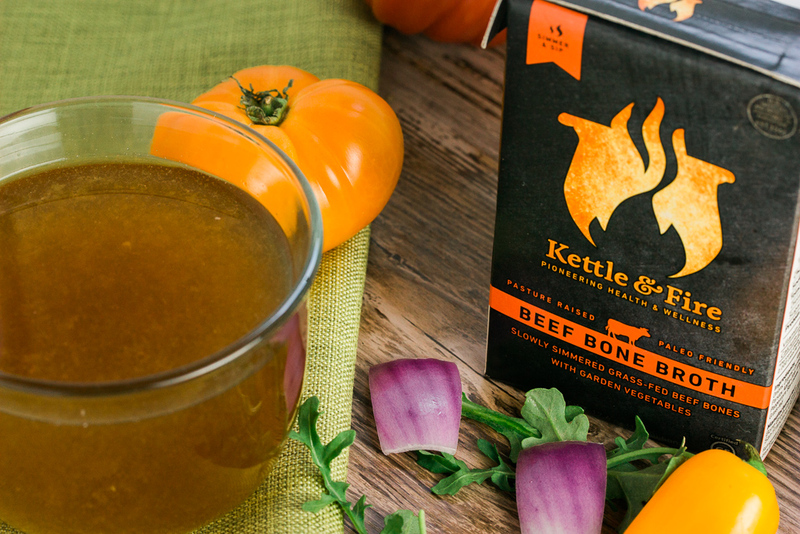 When I’m really in a hurry and don’t have time to make my own, I buy Kettle & Fire’s beef bone broth. It is flavorful and they use the best ingredients to make their broth. You can buy their product online and if you use the promo code “SAYGRACE15”, you’ll get 15% off your first order. Is there anything or any circumstance dead in your life? Anything that you want to see changed in your life and family? I encourage you to speak the Word of God into anything that’s seemingly dead in your life as we have power and Authority right in our mouths. Start speaking life and watch God do His best work!! Say Grace and enjoy!! Feel free to use this tasty beef bone broth to make my Slow Cooker Spicy Lentil Chili, my Beef Wellington or even my French Onion Soup Dumplings!!! Place bones in a single layer on a sheet or roasting pan. Sprinkle generously with salt, pepper and drizzle with olive oil to evenly coat. Roast for 30 minutes, then, flip each bone over and roast for an additional 30 minutes. Chop the vegetables while the bones are roasted and put them with the bones, rosemary, thyme, bay leaf, peppercorns and apple cider vinegar in a large crock pot. Cover completely with water and turn slow cooker to low setting. Allow to cook for 12-24 hours. Add water as needed to keep all the ingredients submerged. Once the broth has reached a dark rich brown color, turn the slow cooker off. Discard the bones, vegetables, stems and bay leaf and strain through a cheesecloth. Cool the pot to room temperature. Once at room temperature pour into jars and let cool in the refrigerator for at least 1 hour. When you are ready to serve, skim the condensed fat off the top of the broth and heat to the desired temperature. Serve it up in a bowl, mug or cup. Say Grace and enjoy!! Get recent posts and occasional updates straight to your inbox! Subscribe to my YouTube Channel for video tutorial updates!!! Get my Deliciously Healthy 30 Minute Meals Cookbook, Grocery Shopping LIst and recent posts delivered straight to your inbox!